HOW DO SAFESCAN’S MONEY SCALES WORK? Safescan offers precision money counting scales and accessories that reduce your cash-drawer counting to just 2 minutes while eliminating error. How do they do it? Let’s take a look under the bonnet. HOW DOES WEIGHT-BASED MONEY COUNTING WORK? Counting money by weight is a quick, accurate and proven way to determine any number of coins or banknotes. 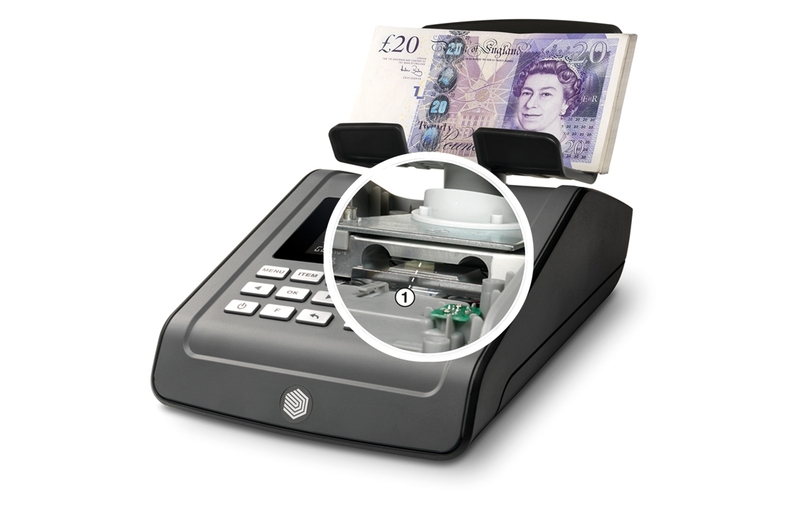 High-precision money counting scales such as the Safescan 6165 and 6185 use finely calibrated load cells—devices that create an electrical signal whose magnitude is directly proportional to the force being measured—to weigh several banknotes or coins at one time. The scale stores a detailed table of weights in its memory for every supported currency and denomination, both loose and bundled or in bags, which it uses to accurately calculate the number of items it is weighing. HOW RELIABLE IS WEIGHT-BASED MONEY COUNTING? Extremely reliable, thanks to a lot of heavy-duty maths. There’s always some minor variation in the weights of individual banknotes or coins; for example, old notes weigh slightly more than new ones because they’ve picked up oil and dirt. The weight tables used in precision money counting scales like the Safescan 6165 and 6185 are constructed by weighing multiple stacks of circulated and uncirculated banknotes or coins, then feeding these values into complex algorithms that enable the scale to pinpoint the precise number of notes or coins being weighed. HOW FAST IS WEIGHT-BASED MONEY COUNTING? Counting money by weight is more than 6 times faster than counting it by hand, and twice as fast as using separate note and coin counters. Smart accessories can make the process even faster. 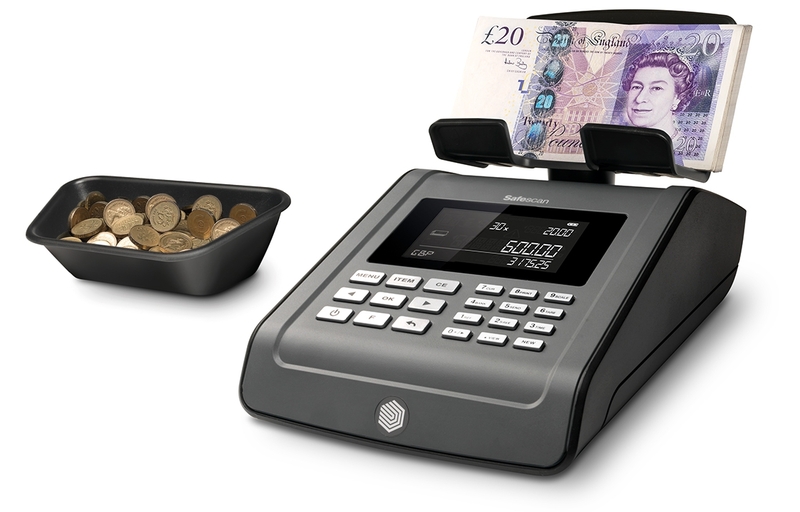 For example, the Safescan 6165 and 6185 money scales are programmed to recognise the removable 4617CC and 4141CC coin cups that fit into the Safescan SD-4617S and 4141 series of cash drawers, respectively, which eliminates all the time you spend moving coins from the till to the money counter. By using them together, you can reduce the time it takes to count your till, down to about 2 minutes. WHAT IS THE ADVANTAGE OF WEIGHT-BASED MONEY COUNTING? In short, integration. A money scale is a compact device that can handle all your cash counting. Banknote counters can’t count coins; coin counters can’t count banknotes. 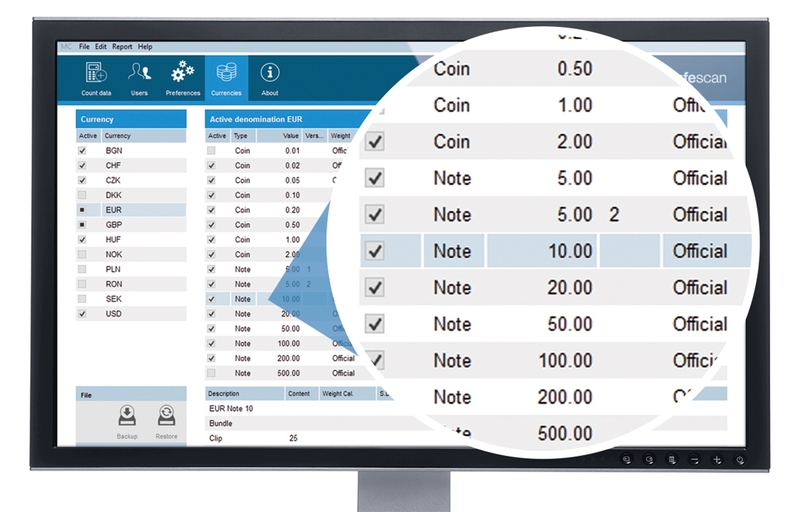 Banknote counters don’t let you enter manual values for cheques and credit cards; coin counters don’t link up to cash management software. 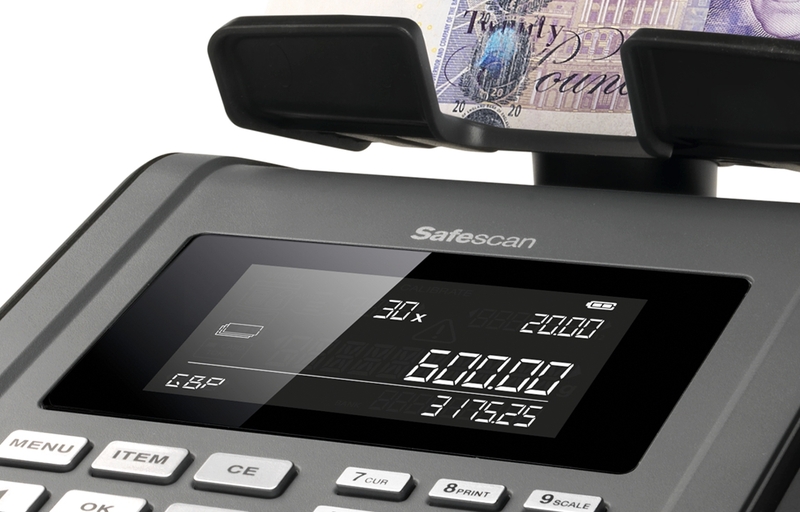 But money scales like the Safescan 6185 can do it all: count coins, banknotes, vouchers, coupons, tokens and chips; tag data with a time, date and reference number; accept manual credit-card and cheque values; and export all your data to cash-handling software. They are the ultimate all-in-one integrated cash counter.